Click on the link with the required wallpaper image size (1024x768 for most PCs). A separate window with the image will open. Right-click on the image and select Set As Wallpaper/Background. 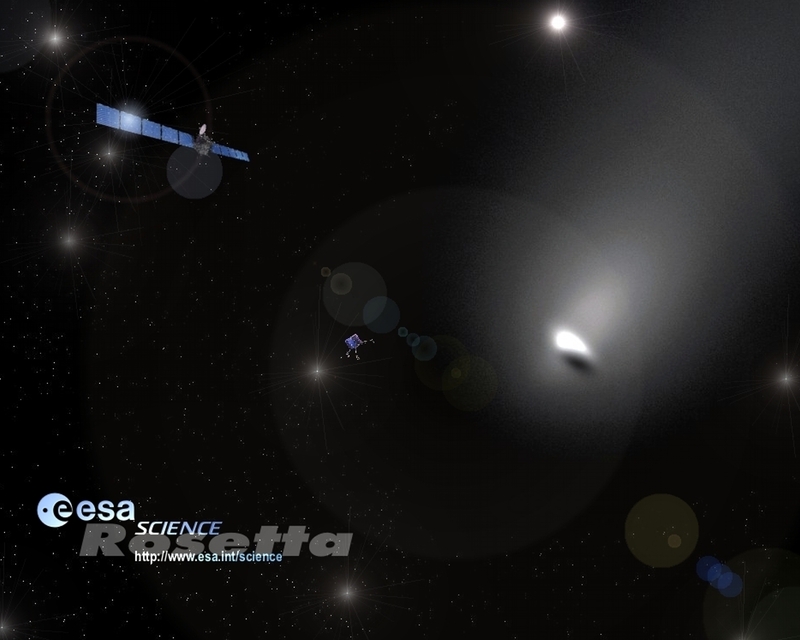 After entering orbit around Comet 67P/Churyumov-Gerasimenko in 2014, the spacecraft will release a small lander onto the icy nucleus, then spend the next two years orbiting the comet as it heads towards the Sun. 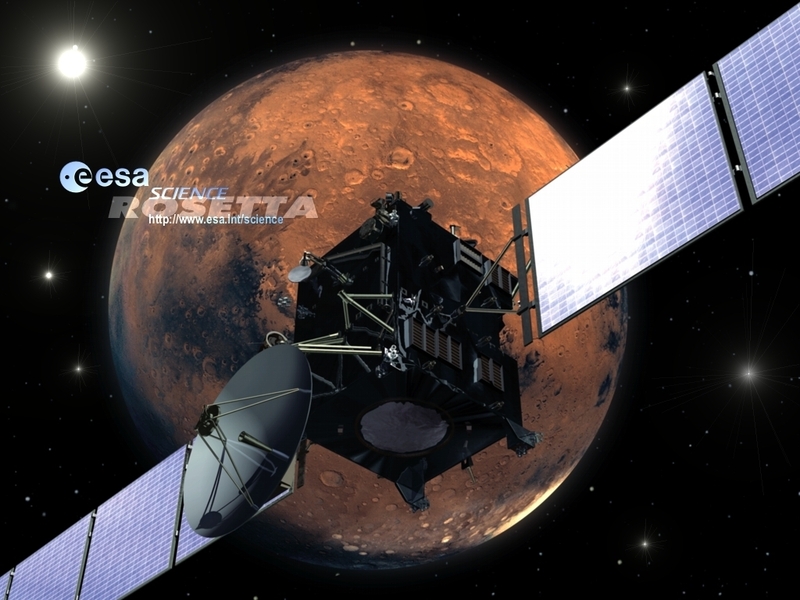 Rosetta flies past Mars in February 2007 at a distance of about 200 kilometres, obtaining some science observations. 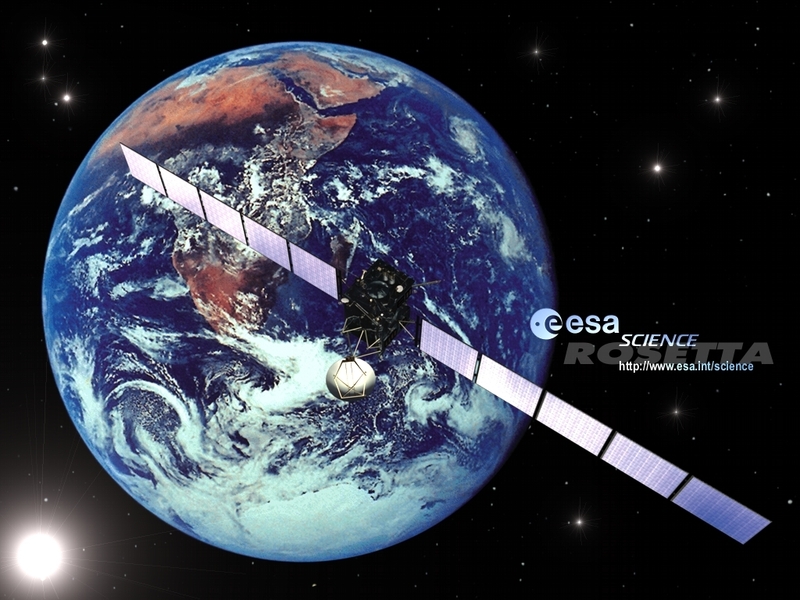 An eclipse of the Earth by Mars lasts for about 37 minutes, causing a communication blackout. 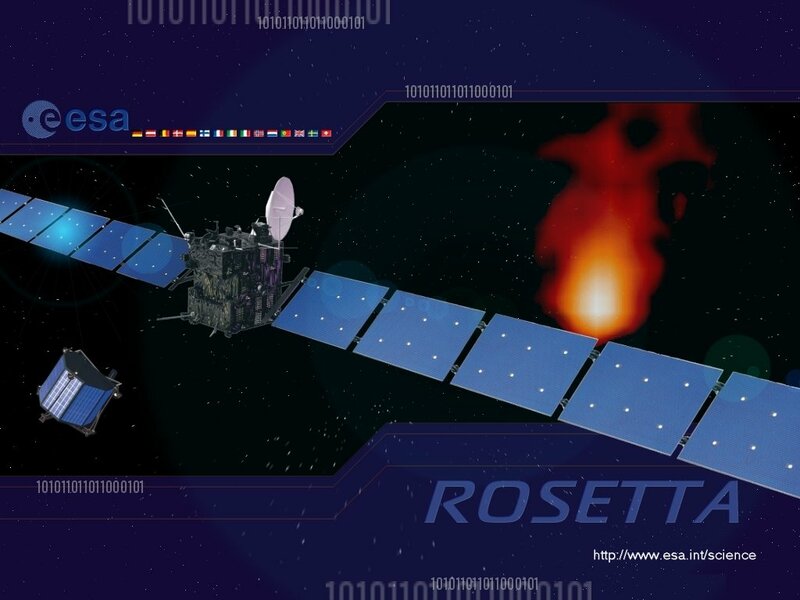 Rosetta first travels away from its home planet and then encounters Earth again, a year after launch, in March 2005. 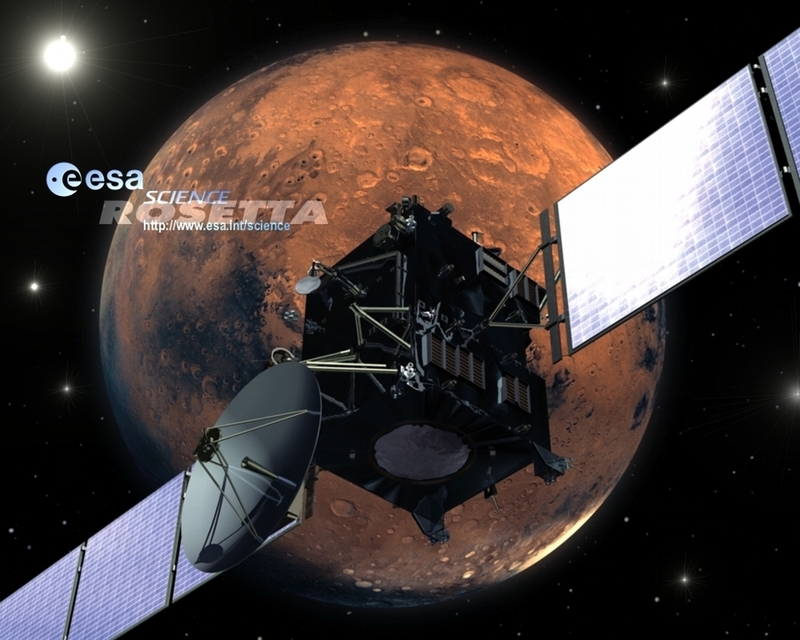 After the first fly-by of Earth, Rosetta heads to Mars and then returns to Earth twice in November 2007 and November 2009 for its second and third fly-bys of our planet. 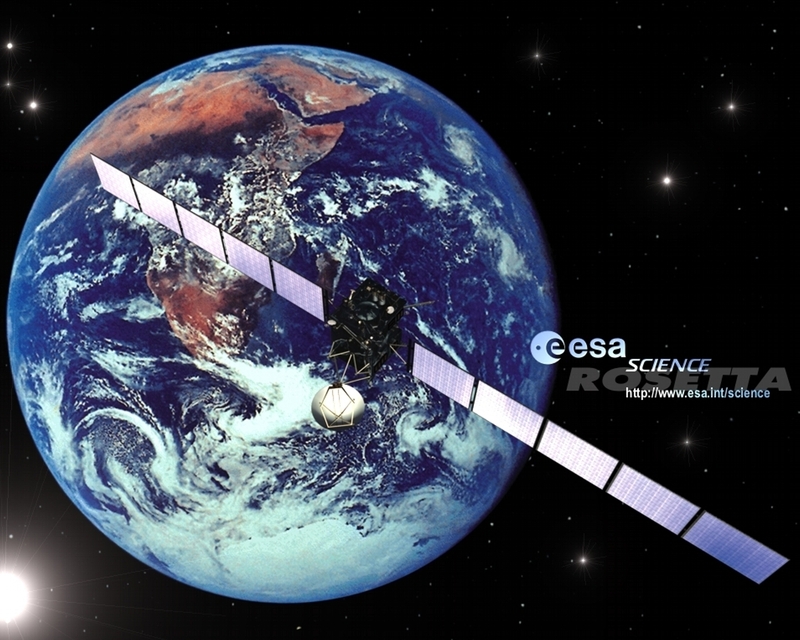 Travelling throuhg deep space, the spacecraft goes into hibernation between May 2011 - January 2014. 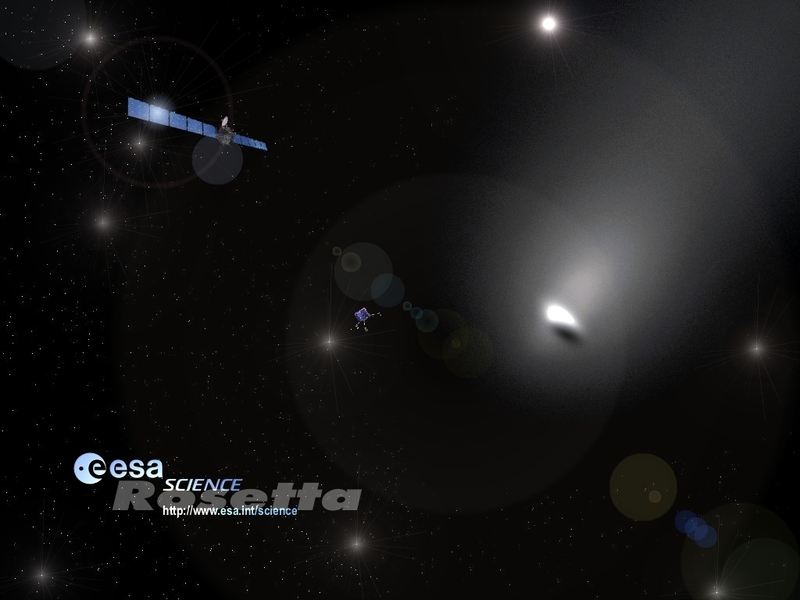 During this period, Rosetta records its maximum distances from the Sun (about 800 million kilometres) and Earth (about 1000 million kilometres).